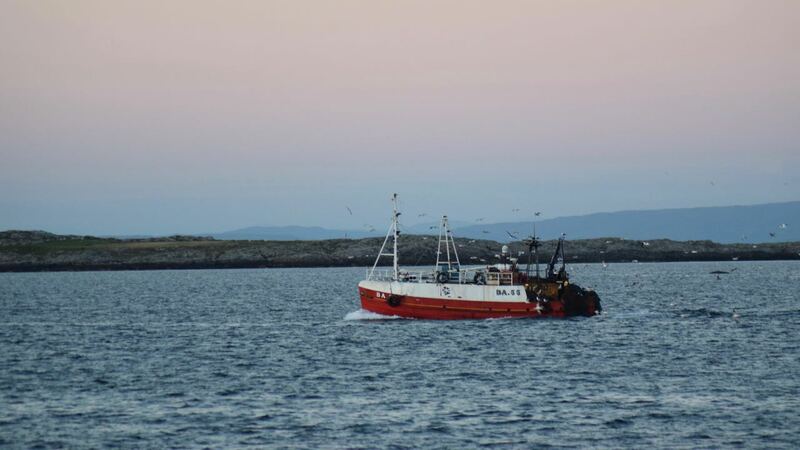 the fishing boat ‘Ocean Maid’ sailed into the bay. It doesn’t seem right to say she dieseled into the bay. She didn’t steam into the bay either. She was not equipped with sails. But we will stick with ‘sailed’. The sun had just set behind Gott . . .
the crew of a yacht were returning in their dingy . . .
when the fishing boat ‘Ocean Maid came sweeping into the bay. The sky all around had taken on the hues of the sunset . . .
as had Ben More and its neighbouring peaks on the Isle of Mull. It was an idyllic scene with gulls following the boat, swooping and swirling. Fishing does not stop when the sun sets. We have often seen the powerful deck lights late into the night. as the various boats fish the waters that lie in front of our window. 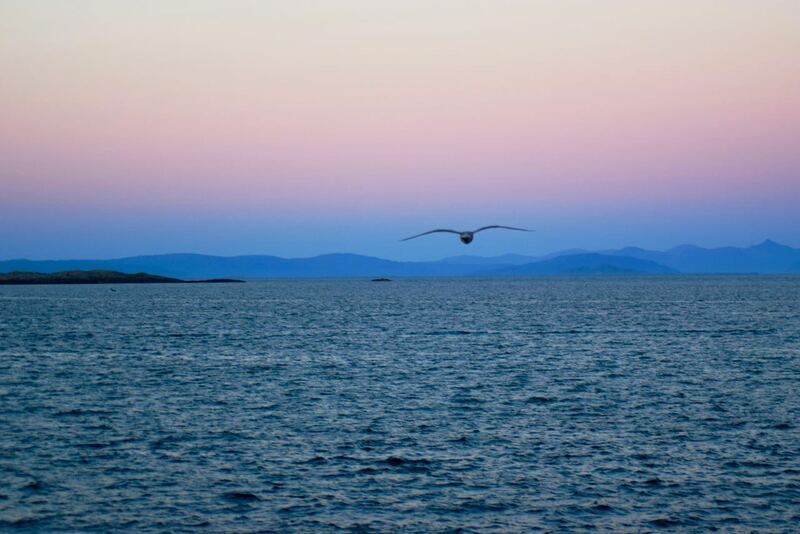 This year the waters that separate the two islands of Tiree and Mull have been busy. 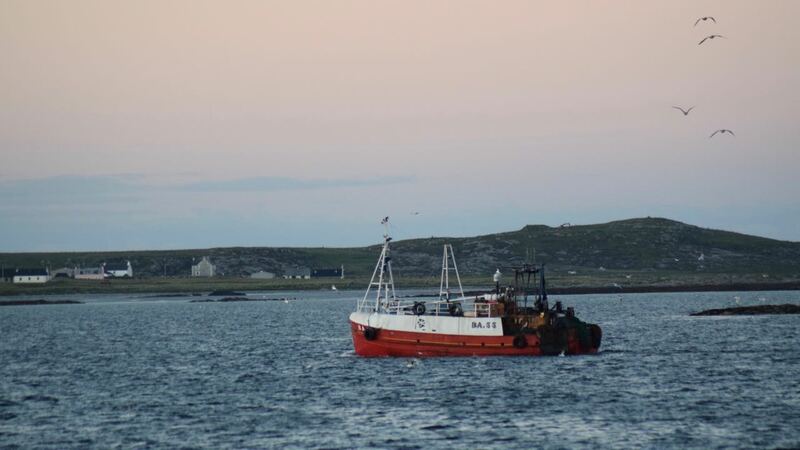 The Passage of Tiree is certainly not as busy as the English Channel. And it is not just the more frequent summer ferry service. This year has been busy with all kinds of vessels. 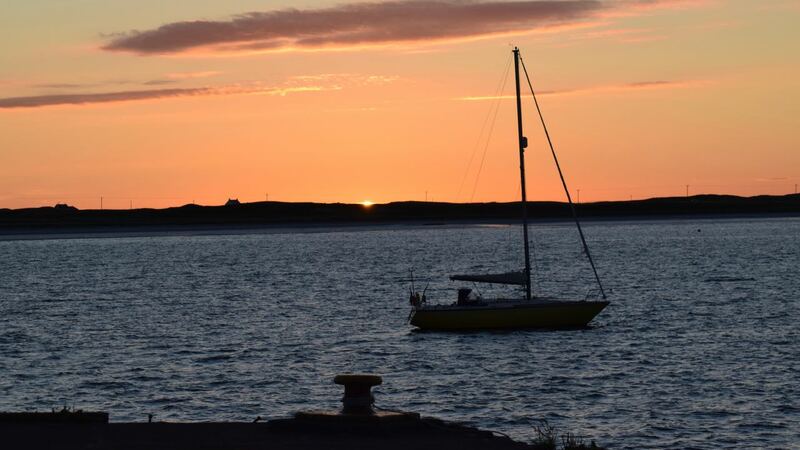 This is ‘Life on Tiree’ as the sun goes down.